The startup aims to overtake other peer-to-peer traders with a 600-megawatt portfolio and strong development expertise. Green Power Exchange is the latest entrant to the peer-to-peer renewable energy trading scene. A startup called Green Power Exchange aims to muscle into the crowdedblockchain-based peer-to-peer energy trading space with a 600-megawatt generation portfolio. The company hopes the solar assets, spread over Austria, Canada, Germany, Ireland, the Netherlands, the U.K. and the U.S, will help it steal a lead on more established blockchain peer-to-peer energy trading players such as WePower, Power Ledger, Restart Energy and Grid+. Green Power Exchange (GPX) wants to create a platform where consumers can buy electrons directly from solar projects using smart contracts. 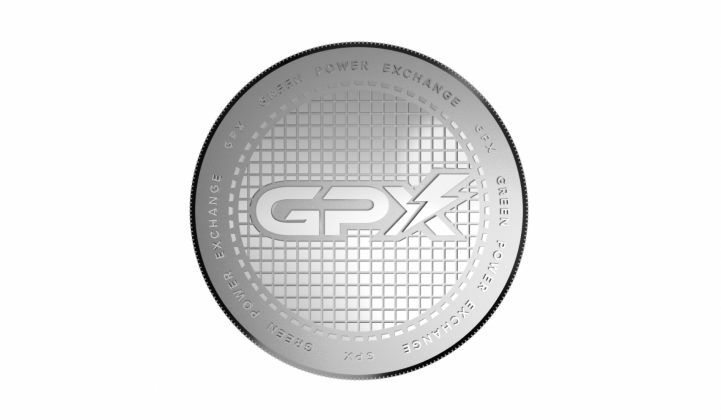 An investor presentation reviewed by GTM says GPX, which is scheduled to launch its platform in 2019 following an initial coin offering (ICO) in the third quarter of this year, will open for business with 62 active projects generating more than 3.3 terawatt-hours of energy a year. None of GPX’s rivals have yet to accumulate more than 10 active projects, according to the presentation. GPX’s launch-date portfolio will be supplied entirely through Solar Provider Group, a Toronto, Canada-based PV plant developer. Christian Wentzel, one of SPG’s co-founders, is also co-founder of GPX. Other members of the GPX management team, including North America and Europe Senior Managers Kit Harrison and Tom Helliwell, are also former SPG staffers. Accordingly, GPX is looking to raise more ICO cash than most rivals. It put a hard cap of $112 million on fundraising, which will be split between a private presale already underway, a pre-ICO sale starting June 6, and an ICO to be conducted from Sept. 5 to Sept. 28. That amount compares to $100 million raised by Envion, $30 million each by WePower and Restart Energy, $29 million by Grid+, and $26.6 million by Power Ledger, according to the GPX presentation. The capital raise would allow GPX to launch simultaneously in all of its target territories, said Helliwell. However, GPX has also set a lower limit of $6 million that would allow it to fund a more modest launch. Assuming the company’s fundraising and development plans pan out, GPX expects to start trading on its Ethereum-based platform and grow generation capacity up to 900 megawatts, including some wind projects, next year. This will be followed in 2020 with the addition of energy storage assets onto the portfolio, and expansion into Asia and other developing markets, the GPX investor presentation said. But Helliwell admitted GPX has no customers at present. The energy blockchain sector is moving fast, and many of GPX’s competitors are racing ahead after raising substantial amounts of ICO cash. WePower, for example, has offices in Australia, Estonia, Lithuania and Spain, with plans to start trading in the latter market later this year, CEO and co-founder Nikolaj Martyniuk told GTM in January. The company is also pondering expansion into Portugal and Italy. Power Ledger, meanwhile, is reported to be harboring U.S. market ambitions, with plans to finance microgrids on Puerto Rico. These are just two of the more advanced players in an increasingly crowded field. Other companies developing blockchain-based energy trading platforms include Drift, Electrify Asia, Electron, EnLedger, Greeneum, Jouliette, KWHCoin, Platinum Energy, Prosume, Pylon Network, Solar Bankers, Sun Contract, Wattcoin and XiWatt to name a few. It's not clear, however, if these blockchain startups can address the basic problems in deregulated energy markets, namely, that consumers are often preyed upon. "For those of us following blockchain in the energy market, this brings up a number of important questions: Is this an ideal market to disrupt? Or will it be susceptible to the bad business practices that the current retail choice landscape is experiencing?" wrote GTM Chairman Scott Clavenna in a recent column at GTM Squared. Already there are signs that enthusiasm for further blockchain startups may have peaked. The cryptocurrency sector website CoinDesk shows that the number of ICOs worldwide rose slightly in March and April this year, to 69 last month, but was still down from an all-time high of 78 in December 2017. Total ICO funding, meanwhile, has dropped sharply in recent months, from a record of almost $2.4 billion in February 2017 to less than $726 million in April.